Where Are Our Leaders Of The Future? Emerging Leaders - Giving leaders a launchpad to success. “What if I train them and they go – but what if you don’t and they stay?" This statement has been around for a long time and it might bring a bit of a smile to our face, but never has a truer statement been made in regard to building our human capital. So many organisations are struggling because they have refused to invest in their next level of leadership, or they have not invested in those leaders who are in jobs, but making it up as they go. Leadership Development should be as important as any business strategy that we put into place, because our strategies for growth will only be as good as the people leading those strategies – so why do we not value the investment into people as highly as we do the investment into things? I am continually staggered by the amount of time we spend on resolving people issues and resolving conflict when much of that is because we have not equipped our people with the skills required to deal with these issues before they become major issues. I have also witnessed other organisations that understand the value of investing in the development of their future leaders and not only has the skill level increased, but it has revolutionised their culture and respect for each other. So, why not set your organisation up for success by identifying your leaders of the future and give them the launchpad they need to become dynamic and productive leaders within your business. Your company will only ever grow to the level its leadership is prepared to grow to. 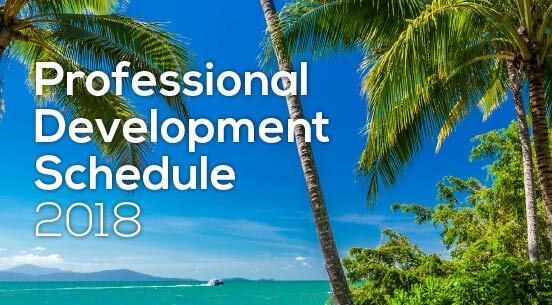 To help you plan your professional development for the year we have created a schedule for each state and territory that we are running programs. 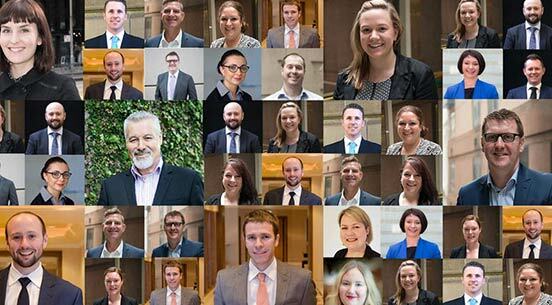 Meet the team at Proteus Leadership who are committed to assisting you in Creating Great Leaders in your organisation. Please contact us on 1300 219 903 to discuss how we can help make your leadership team a success. 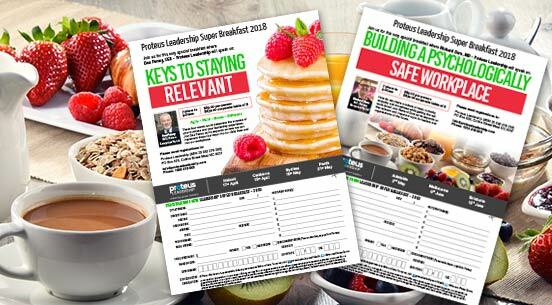 2 Super Breakfasts Announced - Selling Fast! For the first time ever we will only be holding one scheduled breakfast this year, but will actually be reaching many more places. At the same time, Richard Dore will be delivering his very topical breakfast – Building A Psychologically Safe Workplace, in Melbourne, Adelaide and Brisbane. 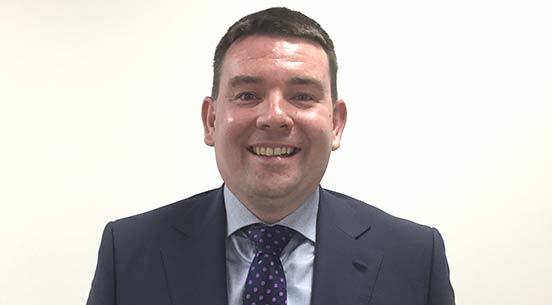 We are thrilled to announce that Troy Quaife has joined the Proteus Regional team based in Brisbane, but working with clients across QLD, NSW & ACT. Troy brings years of Leadership knowledge to the team stemming from running his own Leadership Development Company for the past eight years. He is an experienced and well-respected presenter and a great addition to the Proteus team. "I found the topics in the Emerging Leaders program well rounded and engaging. A lot of the concepts were built upon or linked to other topics which was very helpful in seeing how these concepts could be applied in the workplace." "Exceptional information, coupled with select tools that have bolstered my view and changed my attitude surrounding leadership as a core skill." "All 8 sessions play a critical role in an organisation, it is not just about staff or teams but also leading and managing yourself and most importantly, to communicate and to be sure that the message was received and understood in the correct manner." "Very interesting, made me realise what a leader actually is. It is one thing to be a Boss but another thing to be leader." "I loved the 2-day Emerging Leaders Program for a very simple reason - It motivates you to be a leader and also guides you how."